Terry Fox is a Canadian hero. Even though he had lost one of his legs to cancer, he tried to run across Canada to raise money for cancer research. Sadly, he lost his battle with cancer before he could complete his run. Every year, Canadians run for Terry. Below are some of the students at the run. The photo was taken by Kristina Seiriene. My name is Kayley and I am from Ms.Smiths class of grade 6+7! I am from Vancouver island in Canada. We also did the terry fox run. 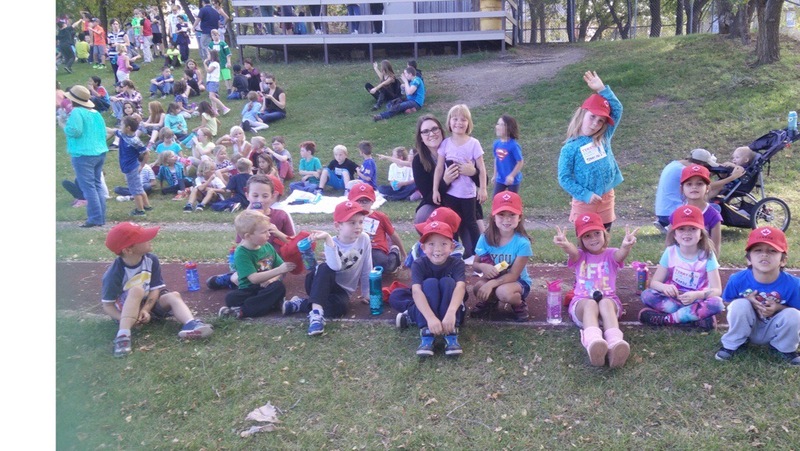 The terry fox run was very fun. We all got stickers that said I Am Running For…. and we all wrote someones name down that had cancer or someone that has cancer. The intermediates of the school (which are grade 4,5,6,7)ran a route that was on the side walks around our school.The primary’s (kindergarten,and grade 1,2,3)did laps around the school.